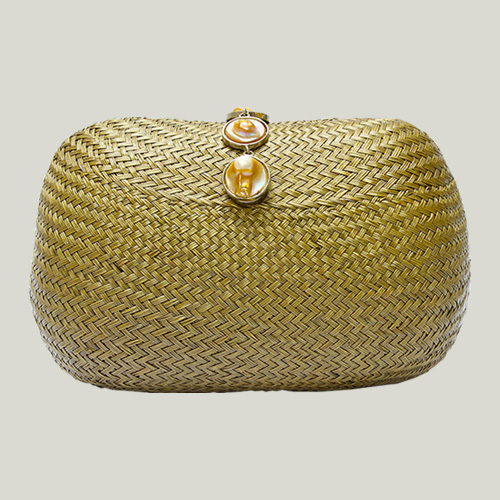 This popular minaudiere made its debut during the Oscars week. 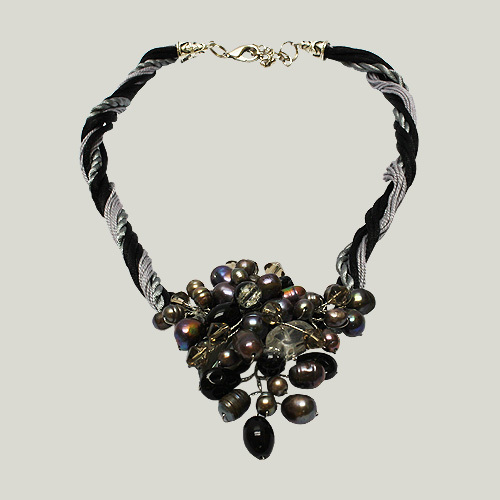 It wonderfully adorns the palms of Hollywood celebrities such as Jennifer Aniston, Sarah Jessica Parker, Scarlett Johanson, Penelope Cruz, Kate Winslet, Meryl Streep, Cate Blanchett, Paula Abdul, Reese Witherspoon and many more. 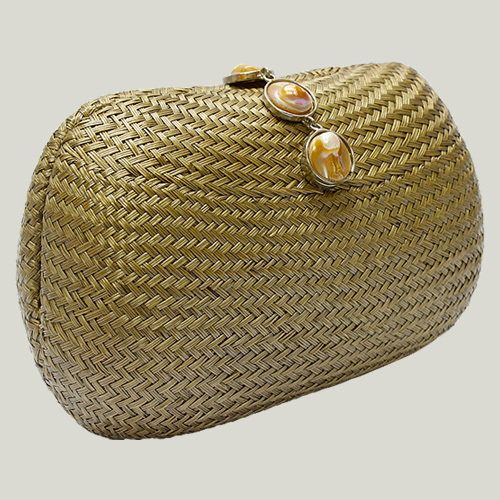 Made of natural materials in various combinations from palm and pandan leaves to Mother of Pearl flaps and recycled fabrics wrapped around hemp fiber, this evening bag is suitable for vegetarians. 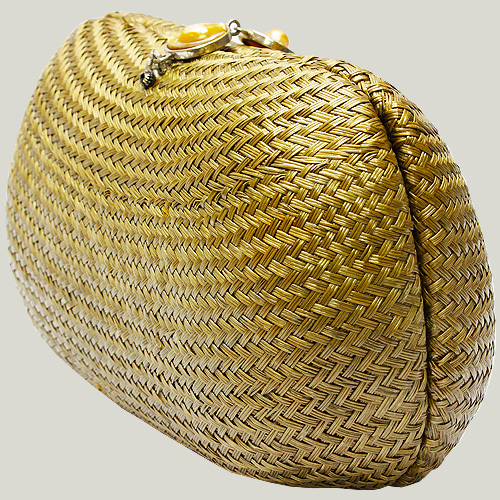 Body made of dried, handwoven palm leaves "buntal"